During a decade as a trader inside one of Wall Street’s leading firms, he pioneered sophisticated models aimed at one simple goal – maximizing gains. While friends and family wrote notes of thanks, Keith saw millions of other investors lose half the wealth they’d spent a lifetime accumulating, and lose it almost overnight. He saw smart people who couldn’t adapt to the changed world of investing, where the old investment strategies like “buy and hold” and “diversification” didn’t work anymore. That’s why Keith left Wall Street. But a funny thing happened. People wanted more. They started relying on it. They saw his presentations, followed his ideas and recommendations, and found what he had to say so valuable, they begged for more. That’s when Keith launched the Money Map Report… just before the financial crisis of 2007-08. Success like this doesn’t just happen. Keith deliberately built the powerful “Money Map Method” to prove that investors can outperform the markets while also keeping their wealth safe. 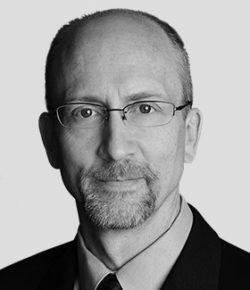 He assembled a team of experts in every sector – energy, technology, bioscience, and even stock specialists with expertise in small caps, options, shorting. Each month, Keith leverages his skills and connections to bring you the best profit opportunities from any sector anywhere in the world. Does the Social Security Administration owe you $23,441? Recent audits done by the Office of the Inspector General found that errors by SSA employees have resulted in 33 years of underpaid benefits to many Americans. The Social Security Administration has already admitted to making these errors. All you need to know is the necessary steps needed to hold them accountable for paying the unpaid benefits. There’s no cap on your opportunity. A market of 45,000 global stocks and funds are yours to buy and sell. You can pull up all the latest news, research, and filings in an instant. Place your own trades online – virtually for free. It’s all wide open. It’s not that these folks are bad investors. We don’t just follow the money. That’s not good enough. We find out where the money is going before it gets there and invest in the little, unknown companies that are changing the world. So you’re already set up to profit – ahead of Wall Street or Main Street – when the money really starts flowing that direction. 3. 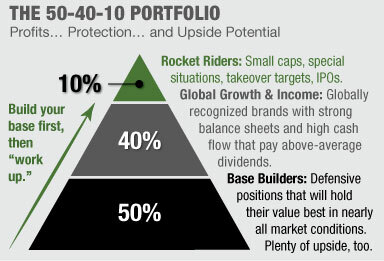 Align your portfolio with the 50/40/10 structure. Break out of the “diversification” mindset. Spreading your risk around doesn’t work. Keith pioneered a risk-parity model portfolio structure used by millions today that is the most effective way to build lasting wealth. 5. Continually harvest your profits and limit your losses. “Buy and hold” doesn’t work anymore. You need to manage your investments to keep your risk at bare-bone levels. If you do this right, it only takes a few minutes every month. Today 95,000 investors around the world rely on Keith’s Money Map Report, like Bob F.
We tested Keith’s Money Map Method against the S&P 500 over a recent 12-year period. There’s no better example of how this works than Navios Maritime. 3. Energy. Coal, though dirty and hated, still provides 2/3 of the world’s electricity. But someone needs to get the coal to where it’s needed. So a dry bulk shipping company that moves coal would be tapped into the energy trend too. It didn’t even take that long to pay off. There’s nothing complicated or risky. Just buying and selling stocks, funds, and ETFs. That’s it. And you’ll never be left wondering what to do. Between monthly issues, Keith stays in touch with a weekly update. He takes the biggest news, events, activity, and distills it all down to two to three “Key Takeaways.” It takes 60 seconds to absorb them each week. There are also stock highlights, tactics adjustments, and “profits alerts” when it’s time to take the money and run. We recently discovered Inspector General (OIG) audits that may entitle you to thousands of dollars – even tens of thousands – in unpaid benefits. In short, the OIG found that Social Security employees incorrectly processed claims, leading to a collective underpayment of hundreds of millions of dollars to people eligible for certain benefits. In fact – according to a recent audit – 82% of people eligible for certain related benefits were owed money. Most victims of these errors have no idea that they could be owed a sum that could equal $23,441. Take Hawaii widower, Denise Felton, for example. She recently found out she was underpaid $56,255 in Social Security due to the same type of miscalculations. In her case, they went completely unnoticed for 15 years! If so, you could receive money owed to you within the next five days, by taking action now.